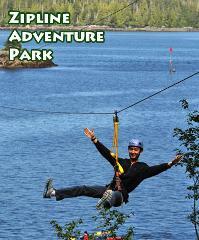 Zipline Adventure Park is 9 Ziplines optional challenge elements and an optional climbing wall, it's 2.5 hours of super natural fun! Captain your own ocean going 14 ft rigid hulled inflatable equipped with a 40 hp outboard and follow a lead guide around a rainforest island. 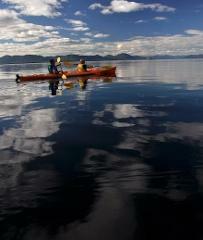 Look for whales, seals, eagles, sea lions, and sea birds. Take part in a three and half hour guided ocean kayak adventure 15 miles away from the cruise pier in an inland passage protected by wild rainforest islands. 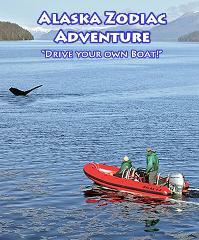 Enjoy a wilderness kayak, depart from downtown ketchikan 25 min drive north, then meet your Cpt and board a boat. 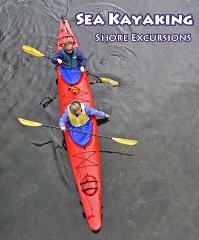 Arrive at the kayak beach and prepare for a 2 hour paddle in and around the Tatoosh islands.